which only one case is disposed of. Even the report by the 245th Law Commission states that there is no scientific data available to analyse the problem meaningfully. 1. Which of the following may be effect (s) of such delay in solving the cases? 1. This gives scope to unscrupulous participants to leverage a system. 2. Cases lose its fairness and transparency due to too much delay. 3. People with little or no means have to spend a lot of time and assets. 2. 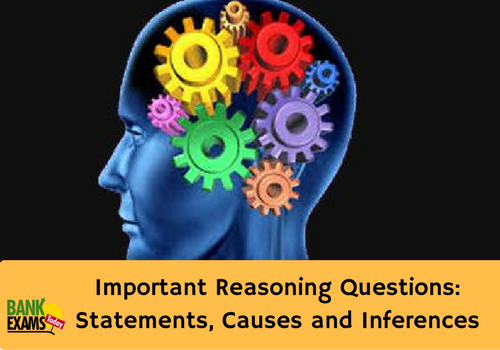 Which of the following can be inferred from the given information? 1. To fully understand pendency, scientific data must be available to analyse. 2. The ratio of case admission to disposals is very large. 3. The government need not appoint more judges for speedy trial. 4. Different types of cases take different time. 3. Which of the following course of action should be taken by the government? 1. The Judicial reforms which are taken by the government must be methodical and do not rely on random solutions. 2. The government should make a strategy to resolve the issue of pendency. 3. The delay in justice needs to be discussed in the public sphere and not just an administrative issue. 4. Non- availability of a large set of data is the main reason of delay.